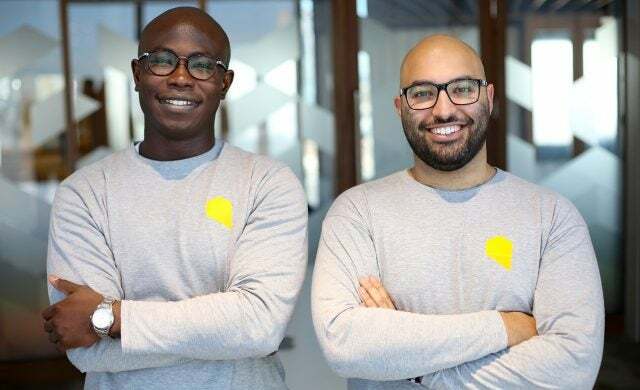 Background: Ifayemi’s background is in finance, having worked for Deutsche Bank, Barclays and Rothschild, while Fahmi is a designer who previously ran his own brand design consultancy. SPCE is a proptech app that brings students and landlords together, automating the entire rental process from the initial property search to the signing of the tenancy agreement. Launched last Monday, November 6 2017, the app will redefine the student house-hunting process by connecting renters to landlords quickly through a transparent and open online forum. Once the tenancy begins it will then make communication between student and landlord effortless to make the experience as pain-free and enjoyable as possible. These interactions between students and landlords are evidenced, so if a dispute arises and lasts for more than 72 hours, SPCE can step in and act as an impartial arbitrator. The app enables students to secure a property from anywhere in the world, ensuring international students can find a house to live in prior to moving to the UK. Under the current student lettings system, the relationship between students and landlords has become fraught – marred by excessive agency and deposit fees, unclear lines of communication and a lack of transparency. Unlike other property companies, SPCE keeps the whole renting relationship online within the app, even after the contract has been signed. What’s more, the app enables students to secure properties in the UK from anywhere in the world. This means international students, or domestic students on a gap year or exchange, can find and secure a suitable property before they even arrive in the country. Yes, SPCE has raised £280,000 in seed funding from our first Seedrs raise earlier in the year, exceeding our initial target of £215,000. What’s more, we raised 82% of our crowdfunding target within 24 hours of launching the funding round. This was a significant milestone for the company, and it was great to see the positive reaction and enthusiasm from our investors. This first round of investment has been used to develop the SPCE app in the run up to its launch, and we have also successfully formed collaborative relationships with six of the UK’s top universities so far. Looking ahead, we are planning to launch another funding round early in 2018. What were you doing before you started SPCE? Whilst studying at the University of Leicester, I (Ifayemi) worked as a student ambassador, where I helped connect students with landlords and rental accommodation. It wasn’t long before I realised just how long and inefficient the process was for students moving from halls into private accommodation. With millennials willingly embracing digital solutions and apps for any number of life’s tasks, I began questioning why the same innovations had not yet taken hold of the student rental market. After university I began my career in finance, working for Deutsche Bank before moving to Barclays and then Edmond de Rothschild. The experience from these positions delivered some valuable insight, and with the concept of SPCE firmly in mind, I set off to transform this idea into a reality. I discussed the premise of SPCE with Omar Fahmi, a seasoned designer who ran his own brand design consultancy and who I had previously worked with on a separate project, and he immediately jumped on board. Together, we developed SPCE’s branding, app design, user journey and feature lists as well as the first phase design of wireframes and brand guide. London is such an exciting place to be, as it is a leading global hub for tech and innovation – not to mention its massive student population and dynamic property sector. Picking just one thing would be tough, but we would have to say the city’s culture for start-ups is really buzzing; with the people you meet and the talent on offer, it makes you feel like you’re on the brink of something really big.